In St. Albert, baseball has thriving support within the community. 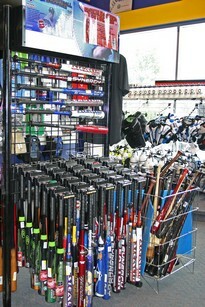 Of course, St. Albert Sports does their part in keeping cost-efficient baseball supplies. we will keep you active no matter what age level you're playing at! Need team uniforms? Contact Steve or Julie at St Albert SFS for more info. Ask about our Demo Bat program.